I vividly remember getting a coffee table book about the Caribbean islands when I was a young adult. 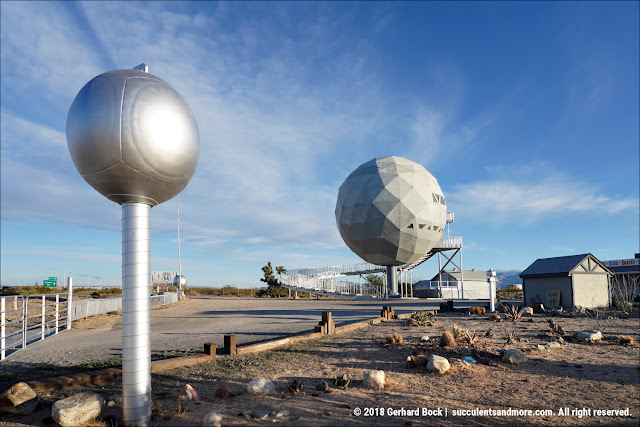 Looking at the glossy photos was like being there in person, and the book ignited a passion for travel that continues to burn bright to this day. Stirring the imagination—that's the power of a well-produced coffee table. Private Gardens of the Bay Area by Susan Lowry and Nancy Berner, with photographs by Marion Brenner (who also worked on The Bold Dry Garden: Lessons from the Ruth Bancroft Garden), is such a book. 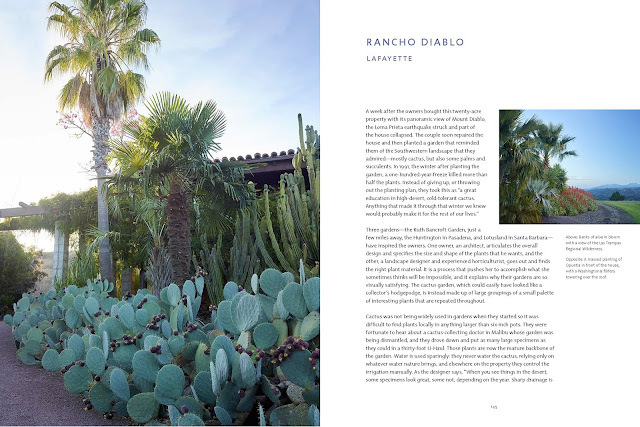 It takes you on a journey to destinations that are as exciting as the Caribbean but a lot more varied: Some gardens evoke England, others France or Italy; some look like a South Pacific paradise, others like the desert; many are firmly rooted in the California landscape around them. 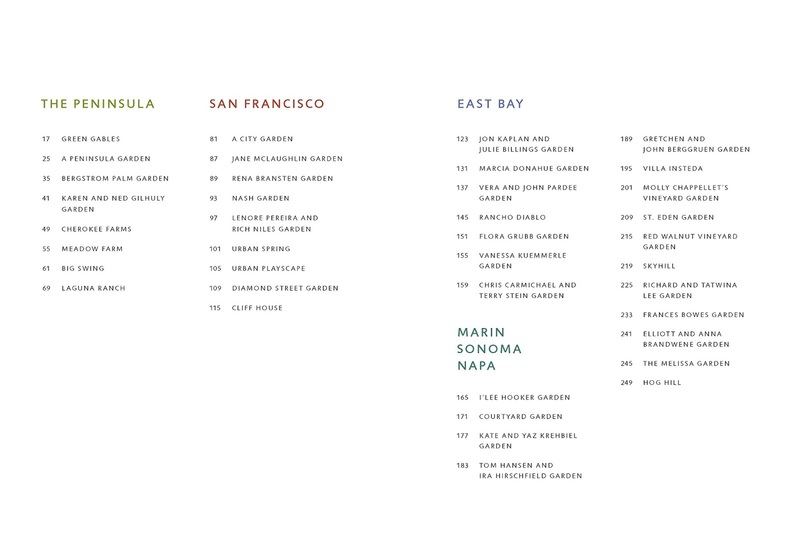 Private Gardens of the Bay Area (9½×12½ inches, 256 pages) portrays 39 gardens in four distinct geographic areas: the Peninsula to the south of San Francisco, San Francisco proper, the East Bay (Berkeley, Oakland and points east), and Marin/Sonoma/Napa counties to the north. 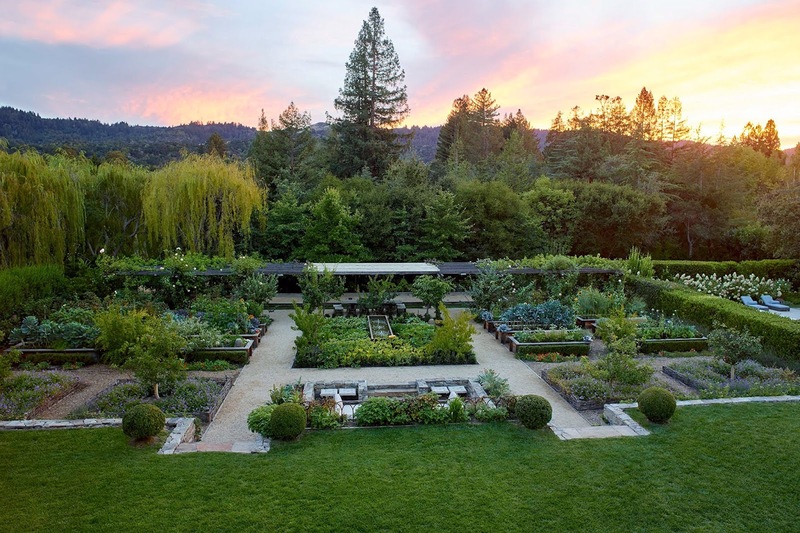 Each area has unique microclimates, allowing more tender and tropical plants to thrive closer to the water while the counties to the north, especially the Wine Country, are subject to wider temperature fluctuations. You could thumb through Private Gardens of the Bay Area to get a quick impression of the breadth of gardens featured in this beautifully printed book. However, that's like trying to take in all the sights of the Bay Area in one single day. Yes, it can be done, but you'd spend nothing more than a few moments in each place. Instead, look at this book as a box of fine chocolates. Savor each piece—each garden—one at a time. Slowly, deliberately, to experience each nuance. I promise you, it's worth it. And don't worry if you prefer dark chocolate over milk, or vice versa. There's something for everyone. 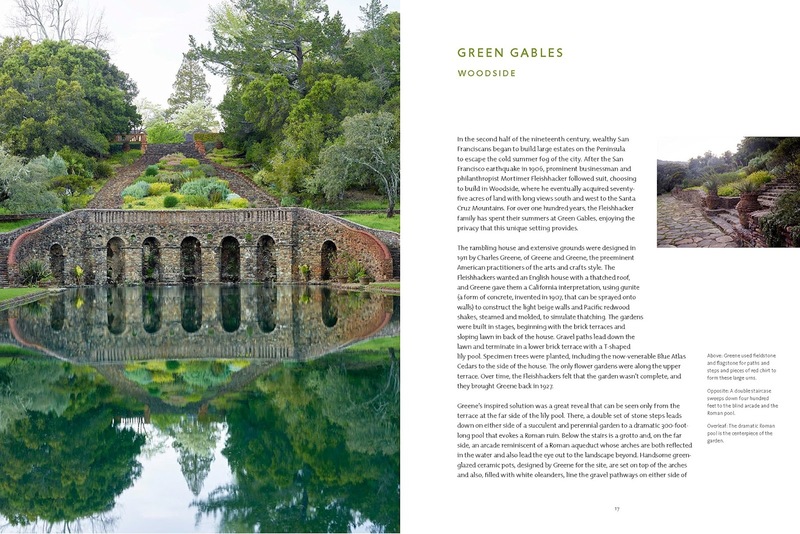 Each garden profile consists of a brief but insightful description and a varying number of photos with informative captions. 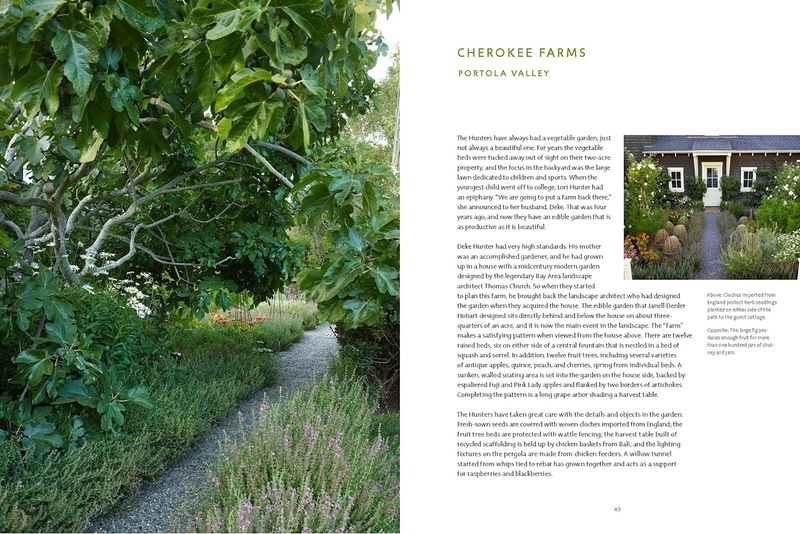 The gamut runs from early-1900s estates (like Green Gables above) to backyard farms producing a variety of fruit and vegetables (like Cherokee Farms below); sleek contemporary designs (like Cliff House and Richard and Tawina Lee's gardens below); vineyard gardens; California native gardens; Mediterrean gardens; tropical gardens; gardens heavy on succulents (like Rancho Diablo below); and art gardens—outdoor exhibits often featuring the work of the homeowner/gardener. The properties showcased in the book are as diverse as the landscape and the people of the Bay Area itself. 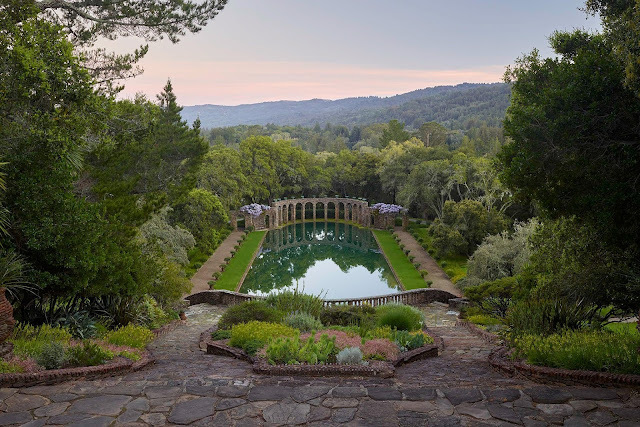 Marion Brenner's photographs—from wide shots to more intimate vignettes—capture these gardens at their very best, transforming them into romantic idylls or stylized icons. This a garden lover's wish book: filled with examples of gardens we fantasize about, all the while knowing that in all likelihood they will forever be out of reach. Even so, the images provide an endless source of inspiration—things we can reproduce at home on a scale appropriate to our own gardens. That's why I suggested you savor this book slowly. 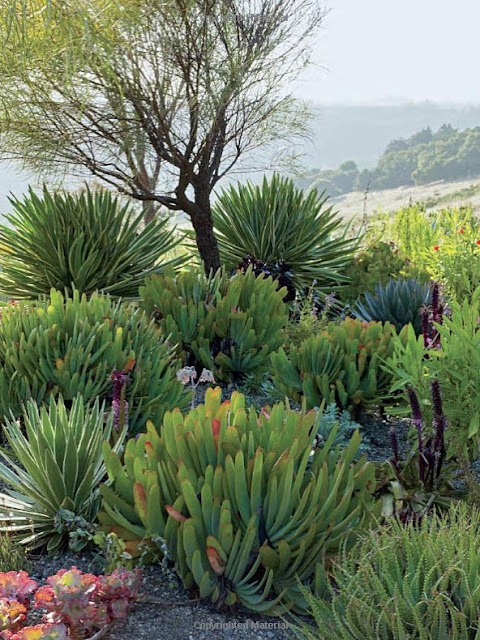 Each garden, whether you love or not, is worthy of attention. 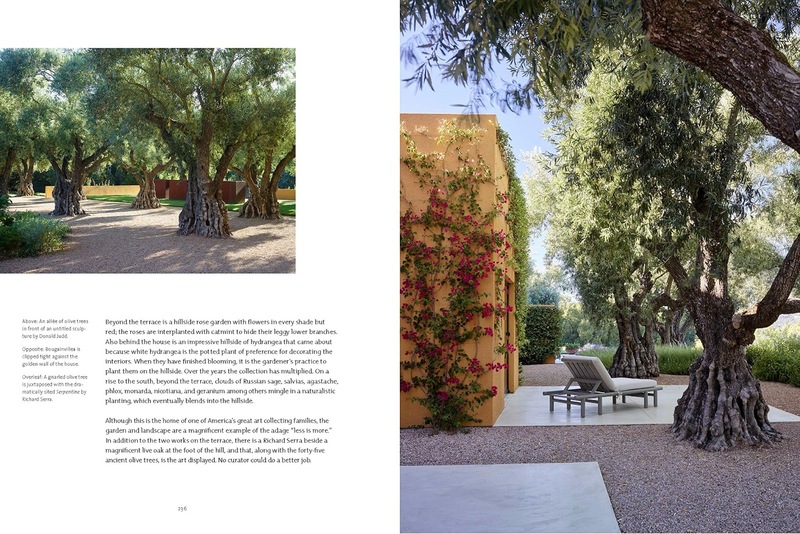 There's one major downside to a book portraying private gardens: Most of us will never get a chance to see them in person. Fortunately, local garden societies and national organizations like the Garden Conservancy periodically offer tours of properties otherwise off limits to the public. 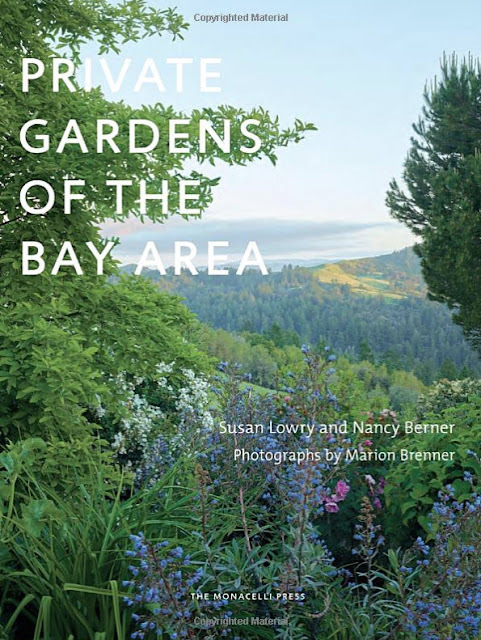 I was able to visit some of the gardens featured in this book as part of the Garden Conservancy's Open Days program (Marcia Donahue's garden in Berkeley and Rancho Diablo in Orinda) or the 2016 Pacific Horticulture Summit (Hog Hill in Sebastopol). Keep an eye out for such events! Private Gardens of the Bay Area is a heavy book, tipping the scale at over four pounds. The first time my wife saw me reading it in bed, she warned me that it would break my nose if I fell asleep and the book landed on my face. Fortunately, no such calamity ever happened. My nose is perfectly fine, and I'm able to continue exploring the book one garden at a time. 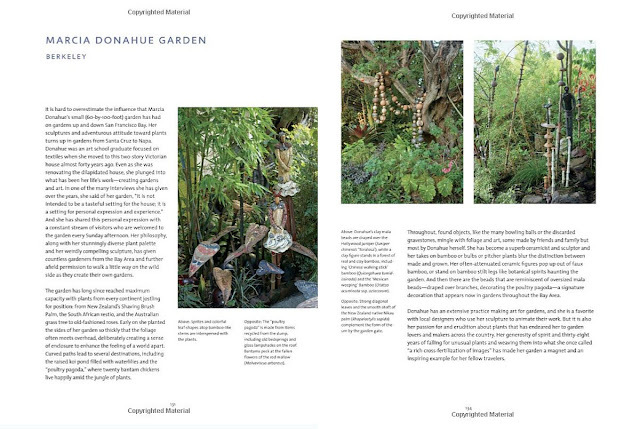 Private Gardens of the Bay Area has a list price of $60 (discounted to $40-45 online) and was published by Monacelli Press in October 2017. My review is based on a complimentary copy provided by Monacelli Press. 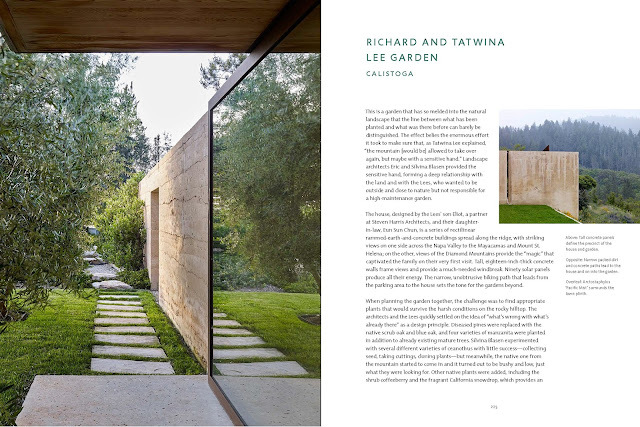 However, this is a book I would gladly spend money on, both for myself and as a special gift to a garden lover. Like a box of fine chocolates - a perfect description. I'd turned a blind eye to the book when I saw it listed among recent garden books but those photos may have turned my head around. Kris, to be perfectly honest, I think the cover photo does the book a disservice. Sure, it's a nice photo, but it doesn't scream "LOOK AT ME" when you first see it. I wish they had chosen a more compelling image for the cover. The book itself is fantastic, though. Wow. I definitely need to take a closer look at this. 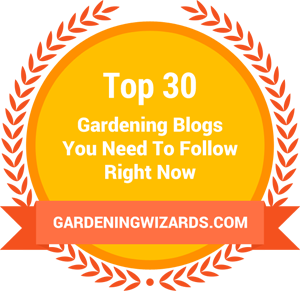 It would be a bit of torture though, to know I'll never be able to "be" in most of these gardens. And we have no coffee table! LOL, we don't have a coffee table either. Plus, I prefer to read in bed anyway. Yeah, it's torture all right knowing I will never see most of them. 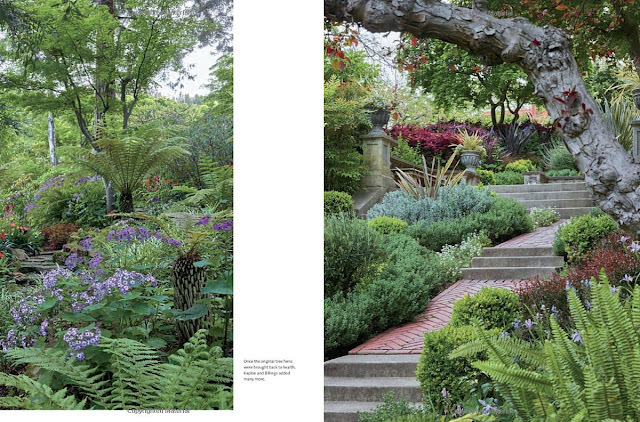 But there's one particularly interesting front yard in San Francisco that I will attempt to find. It has a driveway (!) with low-growing succulents in the center. 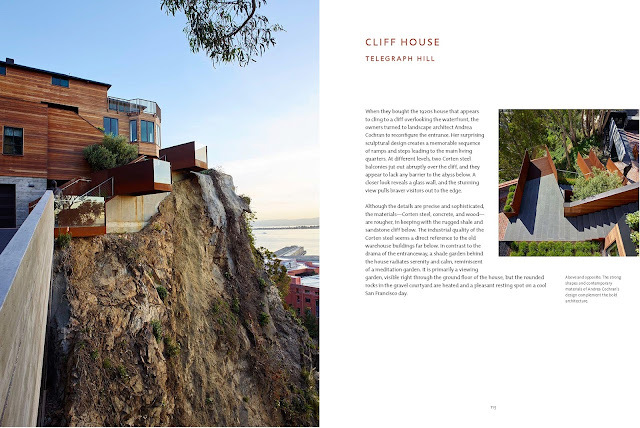 The gardens are absolutely stunning but I am totally in love with the cliff house! I'm always impressed by the wonderful houses of California! I love that cliff house, too! So stunning.